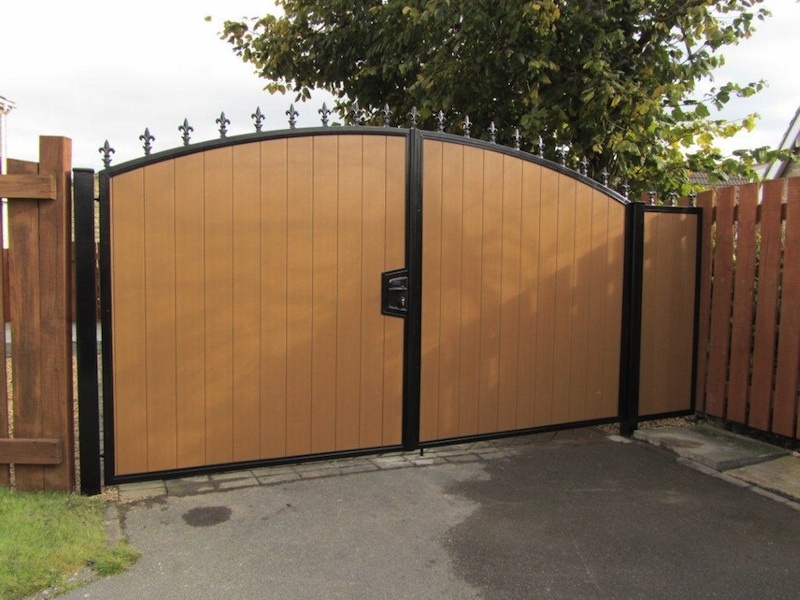 CSC Construction of Stockport installed T&G back gates and double folding gates in recycled plastic wood at Pendle Council’s new hi-spec development in Nelson, Lancashire. 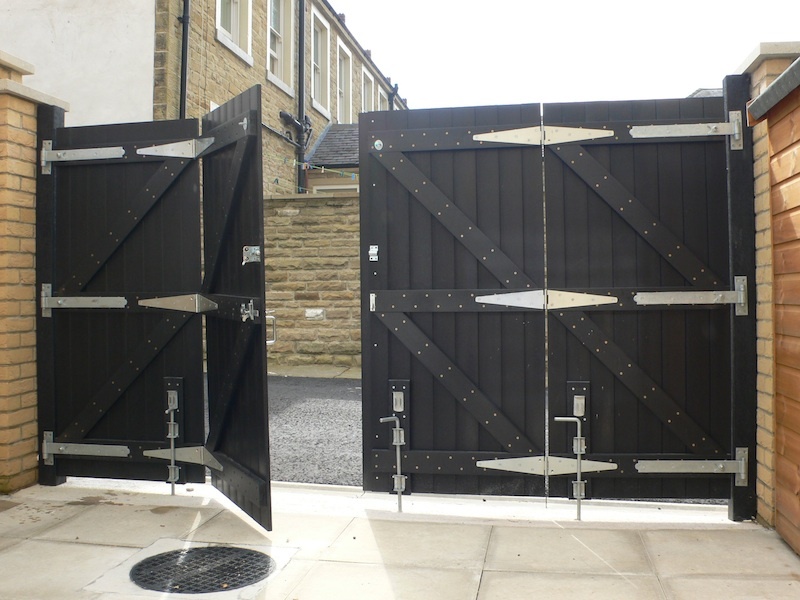 These black recycled plastic wood T&G gates were manufactured by Kedel Limited, based in Colne, Lancashire, who specialise in recycled mixed plastic lumber and plastic wood for sustainable construction. 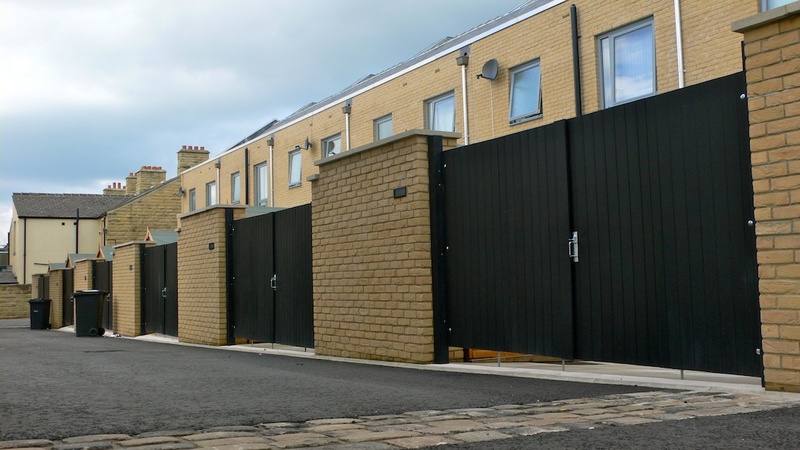 Kedel recycled plastic wood was specified for this high quality new-build housing project, aiming to give a traditional look without the long-term maintenance costs associated with treated timber. 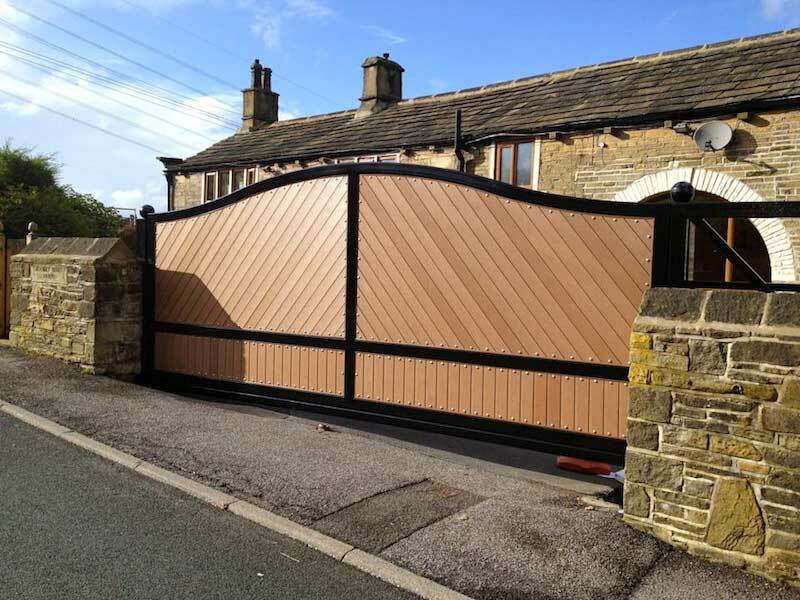 Paul McDonald from The Boxman in Bradford created these double gates with Kedel’s Plastic Wood T&G set into a metal frame. 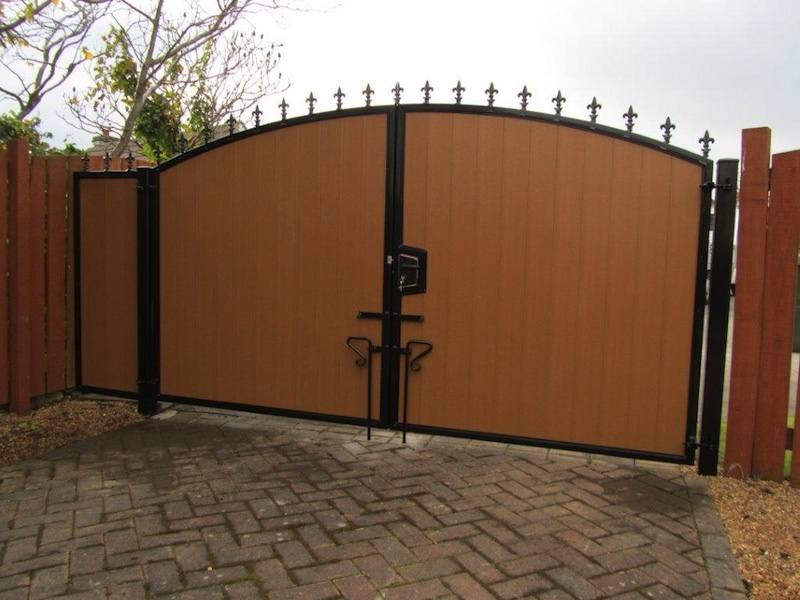 The gates were no heavier than they would have been using treated wood and satisfied the client’s request for something maintenance-free but without looking like plastic. Some of Kedel’s customers have complained in the past that they had received wood instead of the recycled plastic they had ordered. 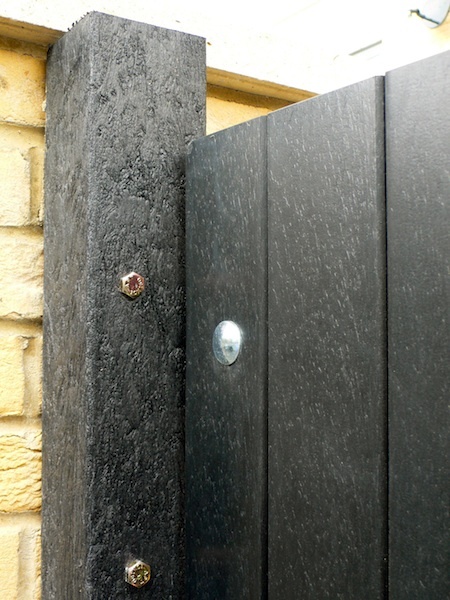 The plastic wood T&G profiles are made entirely from a dense blown recycled polystyrene and are a very convincing substitute for wood. 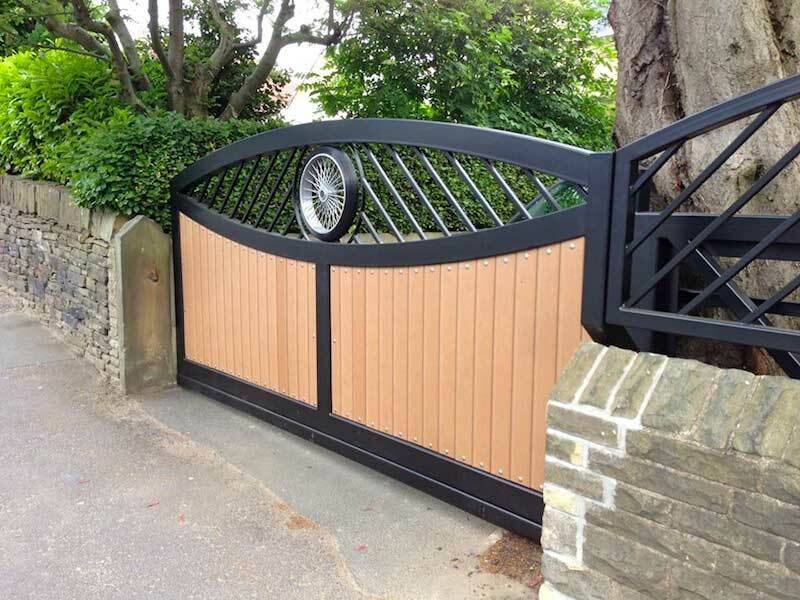 Matthew McLaughlin at Contact Fabrications produced these beautiful Fabricated Metal Gates with T&G Panelling made from Recycled Plastic Wood at private houses Yorkshire. 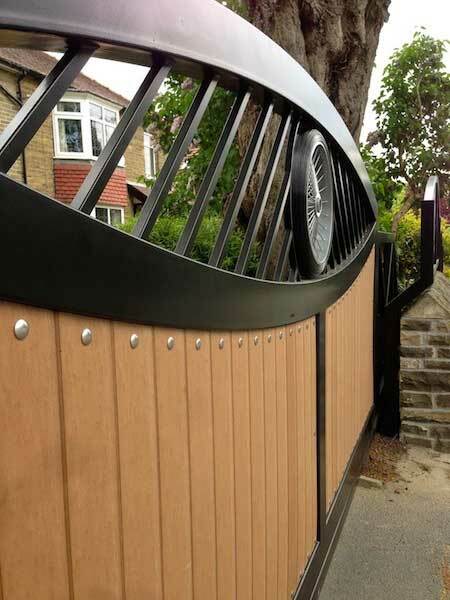 The oak tongue and groove has a maintenance-free professional finish that can be expected to last for decades. 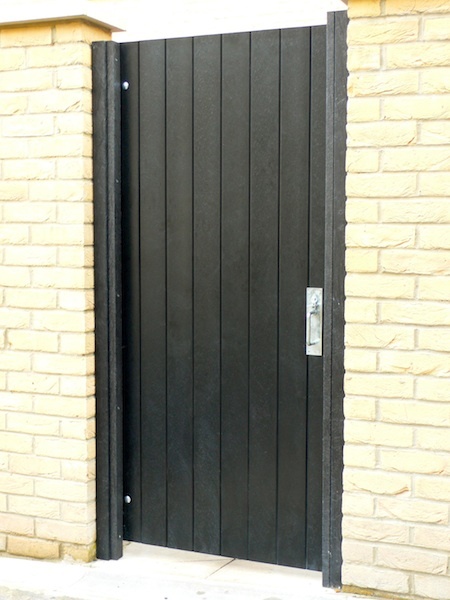 email us, or use our quick quotes form.